Resident physician members of the NCAFP are encouraged to become actively involved in the leadership of our association through the Resident Section. If you are interested in serving during the next leadership cycle (Dec. 2019 – Dec. 2020), please see below for a list of available Resident Leadership Opportunities and a link to submit your application by May 31, 2019. 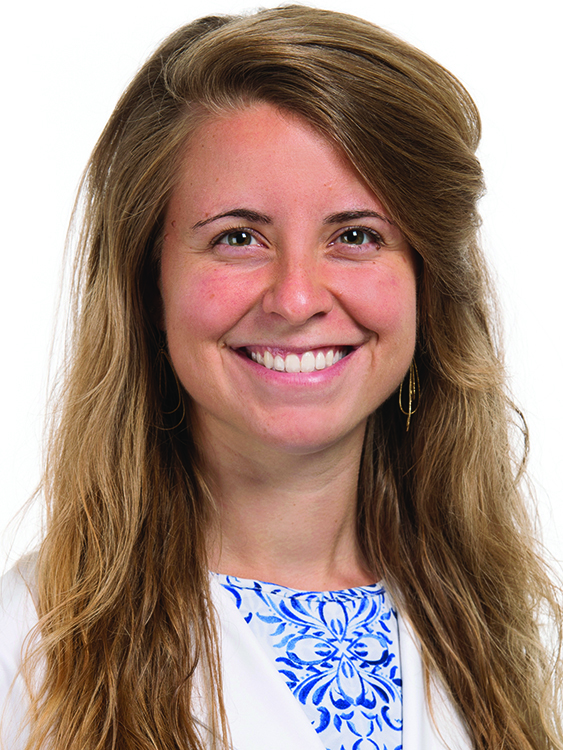 Dr. Baker is a resident physician at MAHEC-Asheville Family Medicine Residency Program in Asheville, NC. A native North Carolinian, he grew up in Charlotte, then graduated from Davidson College in Davidson, NC with a Bachelor of Arts in Religion before attending the Brody School of Medicine at East Carolina for his Doctor of Medicine degree. Dr. Baker also has the honor of holding the title of Eagle Scout. As they say, “once an Eagle always an Eagle”, throughout every phase of his education Dr. Baker has been steadfast in his commitment to serving others. Dr. Baker’s volunteer and leadership roles reflect his passion for the Latino community, youth and faith-based ministries. His experiences as a student member of the NCAFP helped provide the basis for him to assume a leadership role in the Academy as a resident. He looks forward to using his passion for social justice and service to continue to advocate for the citizens of NC through his role on the NCAFP Board of Directors. 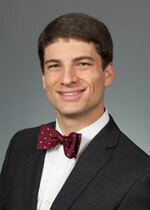 Dr. Ferruzzi is a resident physician at Novant Health Family Medicine Residency Program in Huntersville, NC. A native North Carolinian, she grew up in Lenoir in Caldwell county. She graduated from NC State in Raleigh, NC with a Bachelor of Science in Oceanography followed by The Brody School of Medicine at East Carolina for her Doctor of Medicine degree. Dr. Ferruzzi has a long history of service and mentorship to her community, reflecting her commitment to the people of North Carolina and as a medical student Dr. Ferruzzi held numerous leadership positions at Brody as well as with the NCAFP, she now looks forward to serving as a resident leader: “The mission of Family Medicine resonates with me in every patient encounter. When I sit down to talk with a patient, all the walls come down, and I feel at home – and I know why the physician-patient relationship is the cornerstone of Family Medicine. Humbly, with leadership alongside other Family Medicine physician leaders, this position would allow me to further the mission of the NCAFP from a resident perspective”. Resident Director (1) Appointed to the NCAFP Board of Directors. This is a one-year term. Resident Director-Elect (1) Appointed to the NCAFP Board of Directors. This is a one-year term however the Director-Elect automatically succeeds to the position of Director for another one-year term. Resident Trustee (2) Resident Trustees are appointed to the NCAFP Foundation Board of Trustees. The Trustee position is a one-year term. Committee Representatives (3) One resident is appointed to each of the NCAFP Committees structured in accordance with the NCAFP Strategic Plan. Descriptions of the committees can be found on the NCAFP website. The Representative position is a one-year term. For position descriptions please click here, meeting dates and attendance requirements can be found here. Submit your interest via this Nomination Form no later than 11:59pm, May 31, 2019. Please note, your CV, interest statement and a letter from your program director / other faculty advisor are all due by this date and time. The following opportunity does not require an application or an appointment by the NCAFP nominating committee. If a resident is interested in the following voluntary role they should contact Tracie Hazelett at NCAFP offices at thazelett@ncafp.com or via telephone at 919-980-5357. Resident Advocacy/Program Liaison – A volunteer(s) from each program serves as the communication point-person between the NCAFP and their respective program. These residents are typically in their 1st or 2nd year, have an interest in leadership and becoming more involved in the Academy in the future; however, 3rd year residents are also welcome. The liaison’s role is to help communicate issues of importance to your peers, primarily around advocacy issues but it isn’t necessarily limited to advocacy and legislative topics. Time commitment is minimal and email contact will be carefully and minimally utilized. In addition to NCAFP leadership opportunities, there are many resident leadership options at the national level with the AAFP. Many of these positions require support from your state chapter, as a result please note that NCAFP’s deadlines are prior to AAFP deadlines. For all elected positions and some appointed positions, the NCAFP deadline is May 1st. For some appointed positions, the deadline is Aug. 15th. Please click here for NCAFP policy on AAFP Nominations. For a complete listing of AAFP resident leadership positions please visit the AAFP site. For a complete list of student and resident leaders currently serving in AAFP positions please visit the AAFP’s online directory.